Jack Daniel's Single Barrel Rye Whiskey is a popular Whisky available from Amazon.co.uk in 70cl to buy online. Visit Amazon.co.uk for the best price for 70cl of Jack Daniel's Single Barrel Rye Whiskey or compare prices on our other Whisky products. Delicate notes of vanilla and caramel on entry giving way to rich peppery spice. Ripe fruit mingled with light toasted oak notes. A century and a half in the making. This historic creation marries the smoothness of Jack Daniels with a unique 70% rye grain bill. Complex flavours of ripe fruit mingle with light toasted oak notes to create a taste rich with spice and a pleasant lingering finish. This is a big, bold rye that does not overpower. Mr Jack would have been proud to put his name to it. Where to buy Jack Daniel's Single Barrel Rye Whiskey ? Jack Daniel's Single Barrel Rye Whiskey Supermarkets & Stockists. 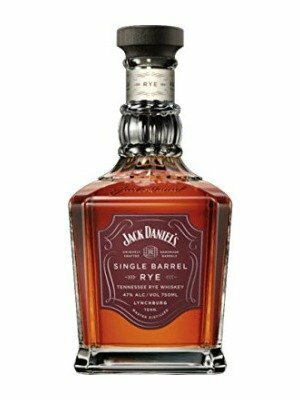 You can buy Jack Daniel's Single Barrel Rye Whiskey online in most retailers and find it in the Whisky aisle in supermarkets but we found the best deals online for Jack Daniel's Single Barrel Rye Whiskey in Amazon.co.uk, TheDrinkShop, DrinkSupermarket.com, and others. Compare the current price of Jack Daniel's Single Barrel Rye Whiskey in 70cl size in the table of offers below. Simply click on the button to order Jack Daniel's Single Barrel Rye Whiskey online now.